We can make an attempt to describe an object or a matter which can be perceived by our organs of sense. But it is difficult to describe anything that our eyes cannot see, ears cannot hear, tongue cannot taste, skin cannot feel and the nose fails to smell. We use our organs of sense to gather information from outside world. Sometimes it makes us wonder who is responsible for the working of these organs. 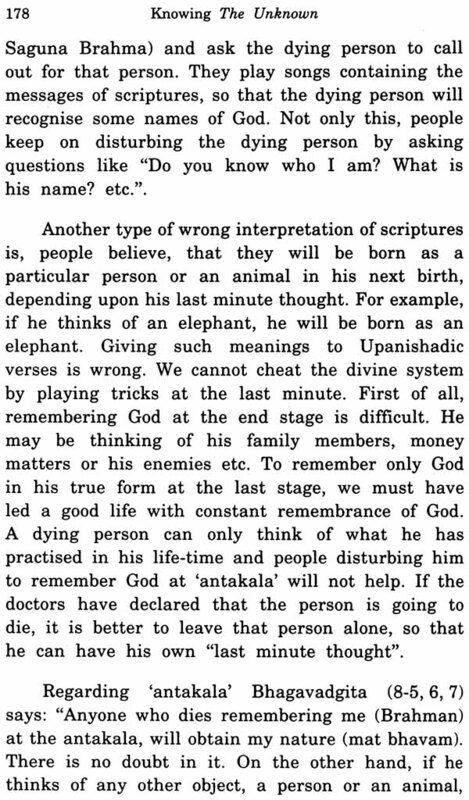 In Kenopanishad, a seeker of knowledge goes to a Guru (spiritual teacher) and asks the following Questions. What makes the mind to go towards objects? Who is directing the mind to do its duty? Who commands the prana (vital air) to function. By whose will, people speak? The eyes, the ears are working to please whom? The question posed by the student is to know the animating force inside our body. The answer to this question is not very simple. The teacher tells the student that the answer to his question is not easy because "our eyes do not go there". Our sense organs are designed to collect information only from outside. They do not have the capacity to look inside our body to see who is directing them to work. The Guru tells his student, "The speech and the mind do not go there. We really do not know the correct procedure of teaching this topic". This honest reply from the teacher shows, just how complex it is to understand something which is beyond the ken of the mind. The teacher continues: "It is different from what we know and different from what we don't know-. It remains unknown to a person who thinks he knows and remains known to a person who thinks that he does not know". 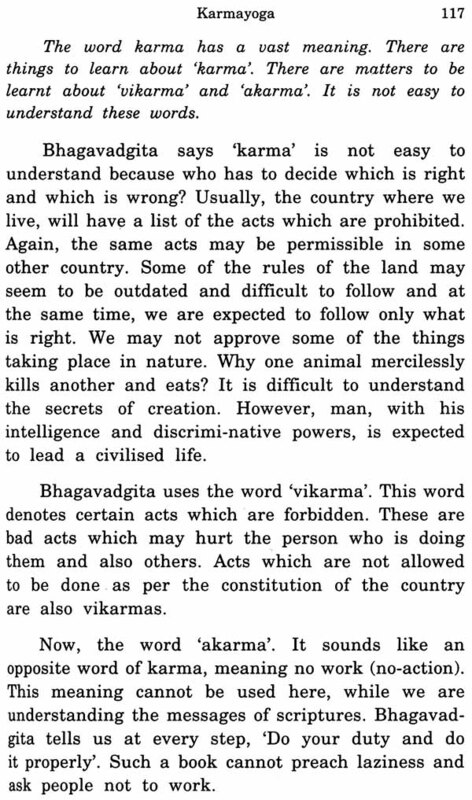 The Upanishads give such puzzling answers, which need to be analysed. Ordinarily, our mind concentrates on materialistic objects and keeps on thinking only about such matters. In order to cleanse this mind, which thinks only about worldly objects, and to direct it towards spirituality and philosophy, we need the help of a learned person. He can make us understand the Upanishad verses properly. The force which is making our organs to work is known as Atman (individual soul). While describing this Atman, the Rishi (enlightened one) of Kenopanishad says: "Your eyes cannot see it. But your eyes are working because of it. This power is called Brahman. 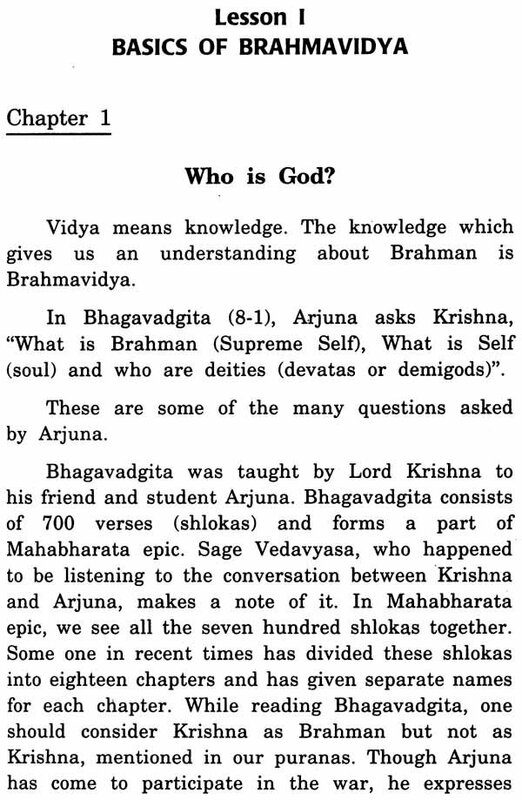 The object what people worship as Brahman (God) is not really Brahman". The Rishi, no doubt gives the answer to the student's question. However, he makes it complicated by bringing the word Brahman (God) and also the objects used by people for worshiping. He is telling us that Atman is nothing but Brahman. He is also telling us not to limit our understanding of Brahman only to the objects of worship, since Brahman is all-pervasive. Dr. Padaki Nagaraja Rao is a resident of Jayanagar, Bangalore, India. He is a medical doctor by profession, graduated from Bangalore Medical College. He has served in various prestigious institutions in New York, USA as Chief Resident, Fellow and Director of various Rehabilitation Departments for seventeen years. After coming to India, he has served as the Head of the Department and Professor of Physical Medicine and Rehabilitation in an accident care hospital in Bangalore. Since last fifteen years, he has developed keen interest in Philosophy and has authored three books in Kannada language on Adhyatmavidya. His lectures on Philosophy is popular in Bangalore as also in other places of Karnataka. Adhyatma vidya vidyanam.... is the sloka from Bhagavadgita telling that among all types of knowledge adhyatma vidya is the best. Dealing with the inner being in all of us, adhyatma vidya delineates the unseen dimensions of all of us. The gross physical body as part of our physical world is what is being investigated in science. No doubt modern science has understood it with such depth almost, unparalleled in the whole history of humanity, it looks. But the same science is in darkness in fathoming the unseen worlds-subtle and the causal. 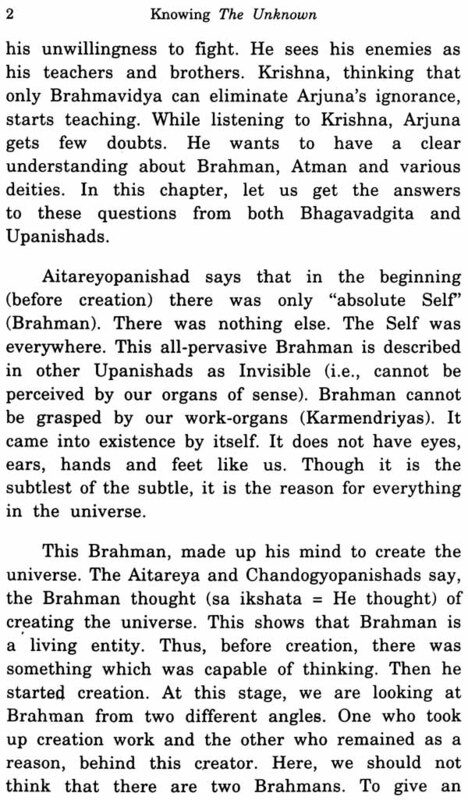 It is these 'inner worlds' that this adhyatma vidya profess to explain. According to this wisdom (shastras), we all possess the gross, subtle and the causal states of consciousness endowed with higher levels of bliss and power. This subtle layer has again three sub-layers associated with subtle energy, mind energy and that of emotions. The laws that govern these layers of consciousness are well understood and presented in the Upanishads. While all these layers are ever-changing, there is a layer of transcendence which is eternal, unchanging and infinite. It is this all pervasive eternity that all the five changing layers emerge, nay, appear. These worlds are also infinite but are ever-changing and have no independent existence of their own. They are like shadow of a person. In the process of creation, we have gone grosser and identified with the grossest forgetting the inner unseen and have become the unknown. And we, in science, can accept things only when we can see- seeing is believing, as the proverb goes. This identification with the lower adjuncts have landed us into all varieties of miseries, tensions and stresses and bondages of diseases, agony and unhappiness. "The goal of life is to manifest that Divinity within..." said Swami Vivekananda. 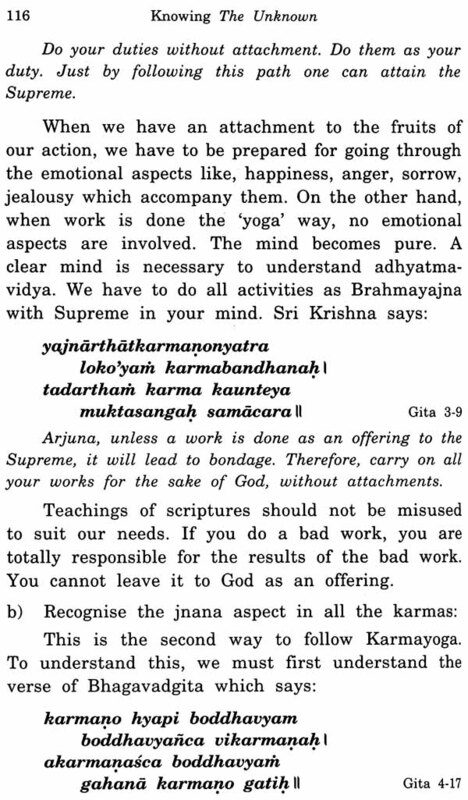 The four streams of yoga: work or worship (karma and bhaktiyogas), philosophy or psychic control (jnana or raja) "by one or more or all of these and be free" he added bringing out the 'unity in diversity' among the four streams of yoga. 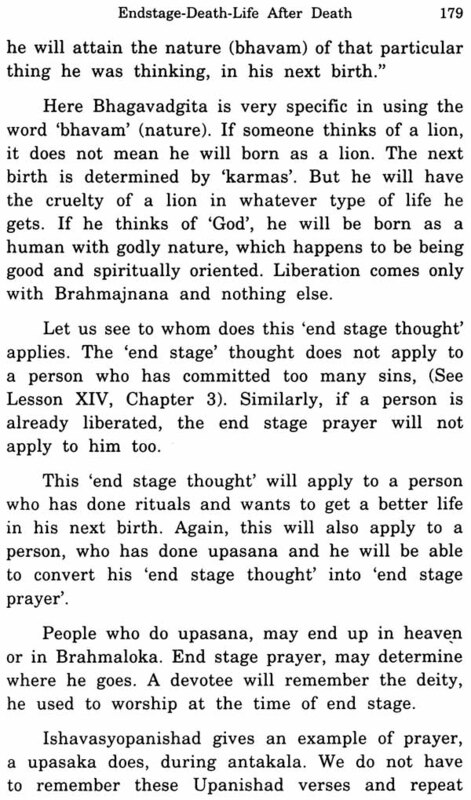 The author has effectively brought out these dimensions of the adhyatma sastra or Vedanta lucidly in seventeen lessons. The readers will enjoy going through the book and find it useful to acquire the divine wisdom of the true knowledge of ourself and God. If the book can inspire atleast a few into this path of bliss towards total freedom from all bondages, the efforts by the author would surely become worthwhile.